What to do with a Finger Lime ? When I saw these at bellopy our local organic market I just had to buy them. 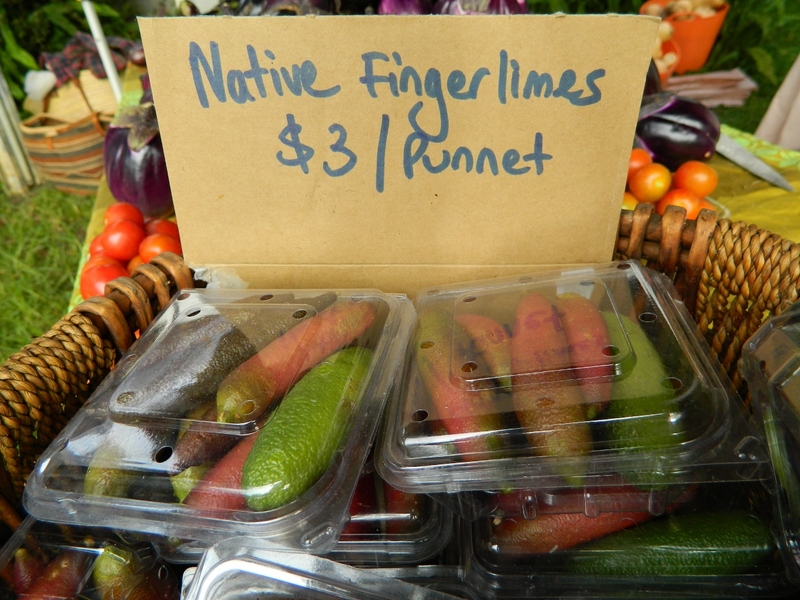 Known as “citrus caviar”, finger limes are a native rainforest fruit with a similar taste to that of lime. Inside are beautiful little pearls instead of pulp. But once bought, what to do with them ? Well obviously … my first thought was can use them in a cocktail ? So I made up a lemongrass syrup, placed a teaspoon of finger lime pearls in each compartment of an ice-cube tray, filled the tray with the syrup, and froze it. 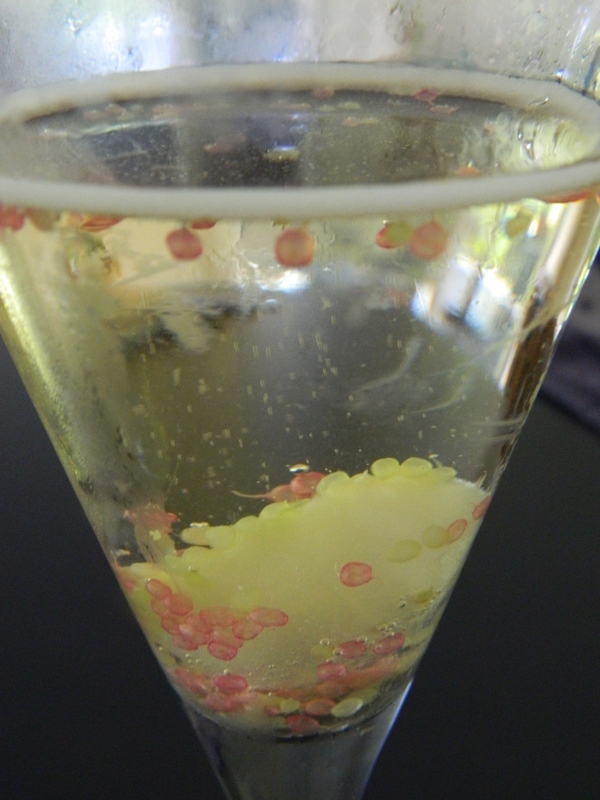 Voilà … you have a sort of finger lime bomb to put in your glass of bubbly or white wine. As the ice-block melts, the pearls float gently to the surface. Of course they would be a wonderful tangy garnish for fish, and I stirred some into lemon butter for something really different. In a high-sided saucepan over medium-high heat, bring cold water and sugar to a boil. Turn the heat to low, add the lemongrass pieces and stir constantly until the sugar dissolves completely and the mixture is clear, approximately 3 to 5 minutes. After boiling, let the syrup cool to room temperature, remove the lemongrass pieces and then pour into a clean glass jar and store in the refrigerator. The syrup can be refrigerated for up to 6 months. Cut the finger limes into quarters crossways not lengthwise, and squeeze the pearls gently out into a bowl. Then place a teaspoon of the pearls into each compartment of an ice-block tray. Fill each compartment with cooled sugar syrup and freeze. When frozen, store the ice-blocks in a sealed container in the freezer ready for use.